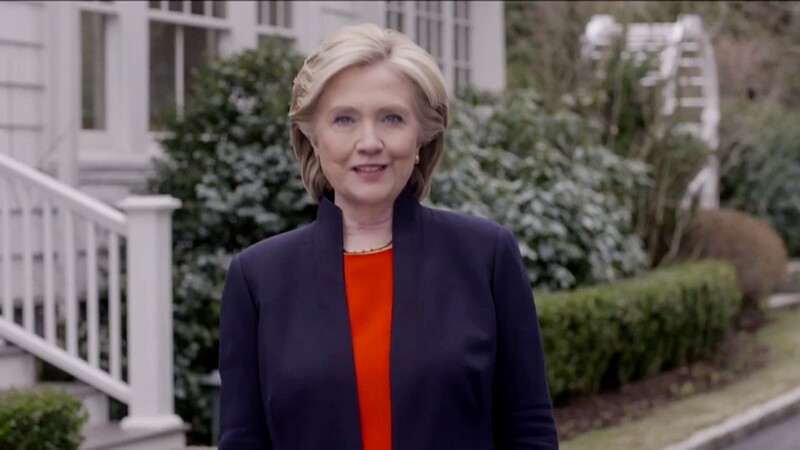 On Sunday, Hillary Clinton ended the suspense and declared that she will seek the Democratic nomination for president. The former Secretary of State’s announcement came just five days after Kentucky senator Rand Paul announced his candidacy for the Republican nomination. Paul is seen as a long shot for his party’s nomination. Paul is in line with the GOP in calling for a smaller, less empowered federal government, restrictions on abortion and support for gun rights. However, on foreign policy, Paul calls for more cautious use of military force, and in the U.S. prison system, he supports a reduction in mass incarceration and a reduction in the war on drugs. Paul has placed himself in no-man’s land, too liberal for the Tea Party but too conservative for establishment Republicans, Independents and Democrats. And yet, Paul will be a vital player in the theater of the 2016 presidential election. His very entry into the race will bring criminal justice reform into the political conversation. On other issues, including military intervention in Syria and Iran, shrinking the federal government and education reform, Paul will force other GOP candidates to publicize, clarify and even moderate their positions. This phenomenon has been seen before. In the summer of 2007, as rivals for the Democratic nomination, Hillary Clinton and then-Senator Barack Obama clashed over how they would conduct negotiations with Iran, a debate that proved to be prescient. Obama’s initial policy was to meet with Iran’s then-president Mahmoud Ahmadinejad without pre-conditions during the first year of his presidency. Hillary Clinton slammed Obama, arguing that she would not make the prize of meeting with a U.S. president so immediately available to such countries. Obama held his ground and, in doing so, created what would become his official policy on an issue that has now taken center stage. With a potential deal in place that would lift sanctions on Iran in exchange for de-escalation and oversight of Iran’s nuclear program, Obama is once again being naive and myopic. But Obama has continued to place his faith in a policy of pressure and engagement, looking for a diplomatic solution to the issue of Iran’s pursuit of nuclear weapons rather than a militaristic or intimidating solution. It is possible that, on stage in South Carolina, Obama had already crafted his position on relations with Iran, even though it was not seen as a pressing issue at the time. But even if this is true, Clinton’s position forced Obama to express, elucidate and defend the opinions that would soon become a centerpiece of his presidency. While Rand Paul likely will not challenge his Republican opponents as strongly as Clinton did Obama, there is precedent for a fringe candidate having an outsize influence. In 2008, John Edwards placed a distant third to Obama and Clinton. However, his campaign, which centered on a sprawling plan to eradicate poverty altogether by 2036, forced economics, inequality and welfare programs to the front to the campaign. Hillary Clinton needs a Rand Paul. It seems that, since her defeat in 2008, Clinton has been the presumed nominee for the post-Obama Democratic Party, and it hasn’t been close. Clinton is not running unopposed. Martin O’Malley, who served two terms as governor of Maryland from 2006 to 2015, has made clear that he will oppose Clinton in the primary. “Let’s be honest here,” O’Malley said on ABC’s “This Week” (1981 – present), “The presidency of the United States is not some crown to be passed between two families.” Clinton is often perceived as out-of-touch and bureaucratic, while O’Malley’s service as mayor of Baltimore and member of the Baltimore City Council give him an opportunity to present himself as the more locally based, personal candidate. The Democratic Party needs someone who will challenge Hillary Clinton. As a candidate, she is far from perfect. Clinton’s use of a private email account for State Department work has become a full-blown scandal. Her comment that she and her husband were “dead broke” when Bill left the presidency has only bolstered her image as a candidate who isn’t attuned to the lives of average Americans. Most concerning for liberals, Clinton’s record as Secretary of State demonstrated that she’s considerably more right-wing than President Obama on everything from Iran, to Syria to Israel. The American system of government benefits from strong primary battles. The more candidates clash, the more they are drawn out of vague rhetorical arguments and into the realm of policy discussions that provide real insight into their positions. Make no mistake: Hillary Clinton will be the Democratic nominee for the 2016 presidential election. But Clinton must be tested and challenged before the general election for her sake as a candidate and for our sake as a country. She needs her own Rand Paul. So if not O’Malley, who can offer the foil to Clinton’s campaign? Where is Elizabeth Warren when you need her?